A Man Utd XI for next season with more new signings.With Manchester United starting to take some shape under new manager Louis van Gaal, CaughtOffside looks at how the club could be almost entirely transformed within the next year, as the Red Devils plot more big-name signings. Real Madrid star Cristiano Ronaldo has been linked with a sensational £60m return to Old Trafford next summer, while other marquee additions could also come in during the January transfer window, giving the team a potentially very new feel to it in the near future. 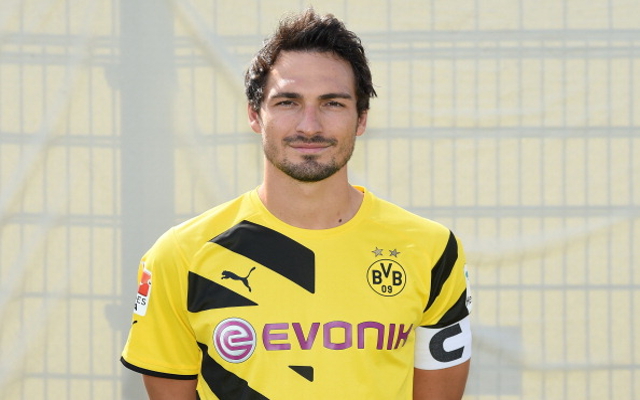 With signings still needed in defence more than anywhere else, it seems likely that United will step up their interest in Borussia Dortmund centre-back Mats Hummels. The German international, valued at around £20m, has been on the Red Devils’ radar for some time now, and will surely be set for a move to a bigger club at some point, lining up alongside Marcos Rojo and Phil Jones in van Gaal’s back three.